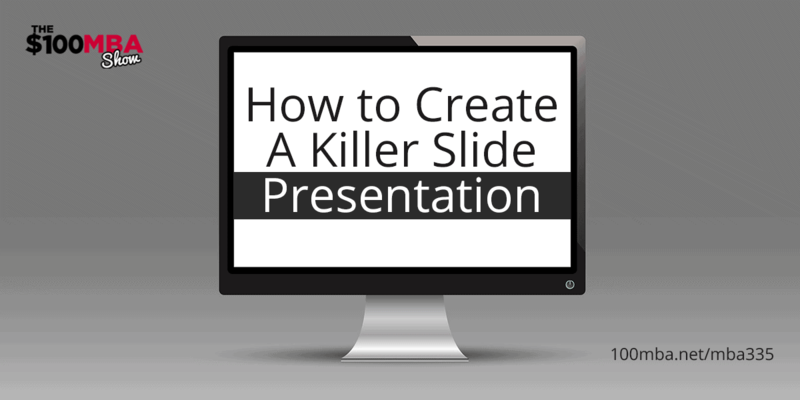 How to Create a Killer Slide Presentation Plus Free Ride Friday! MBA335 How to Create a Killer Slide Presentation Plus Free Ride Friday! A great keynote or powerpoint presentation can really add a lot of value to your performance. And today, we’re going to help you create a killer slide presentation with great strategies and tips so listen up to this episode! « Previous Post MBA334 4 Must Do Strategies When Defining Your Audience Next Post » MBA336 Q&A Weekends: I’m having trouble with a client not paying me. How do I get paid without ending our business relationship?